Get involved with the Campus Coaches programme when you start uni—connect with other new students, find your way around and get tips for study and student life. The Campus Coaches programme is designed to help you get connected with your university, by helping you to find your way around, connect with other students from your faculty and help you with the transition into university life and study. We know that many of you will be overwhelmed with the number of different ways to connect and engage with Victoria when you first arrive—moving into a hall, joining a club and engaging with the various class and faculty groups on offer. Our Campus Coaches want to make your transition as smooth as possible, which is why we offer two different options of engagement depending on what you need and want. You don't need to register for Campus Coaches—just come along to any of the Campus Coaches kick-off sessions during New Students' Orientation, on Monday 25 February. Check the New Students' Orientation timetable for details of when and where to go. Are you worried about finding all your lecture theatres or being late to your first class? Want to breeze through your first week and walk around campus with confidence like a local? Find out where all of your lectures and tutorials are held (bring your timetable). 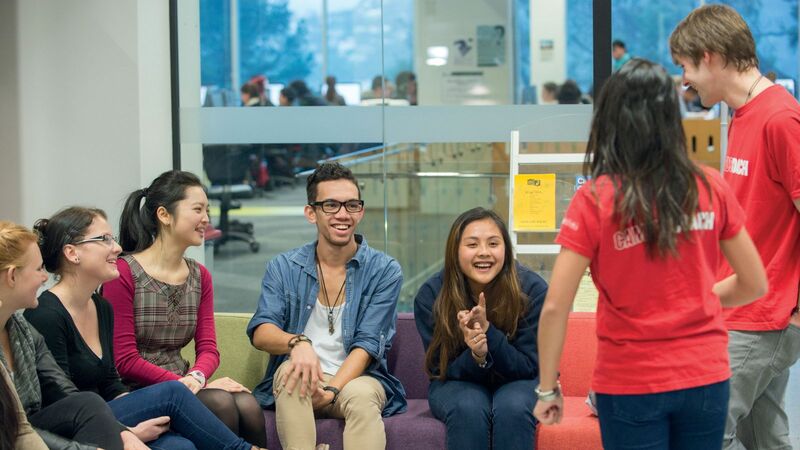 Learn where all the key services and facilities are that you might need during your studies. Get the answers to any general questions you have about starting university. Learn some hints and tips about getting to, from and around the campuses. Bring your timetable and find out where all your classes are and other key spots around the university. Do you want to make connections with other first-year students studying the same degree as you? Do you want to learn some hints and tips specific to your degree programme and find your way around campus with ease? By joining a Campus Coaches group you will be put with a senior student and other first-years who are studying similar degrees and subjects as you. This option is good for students who may not have many other opportunities for connecting with other first-years when they start university. New connections with other first-years from your degree programme. A campus tour covering key lecture theatres, services and facilities. The answers to any general questions you have about starting university. Hints and tips about getting to, from and around the campuses. Campus Coaches can be great for the little things that can be hard to find out on your own—like where to find the slots to hand in your assignments in.